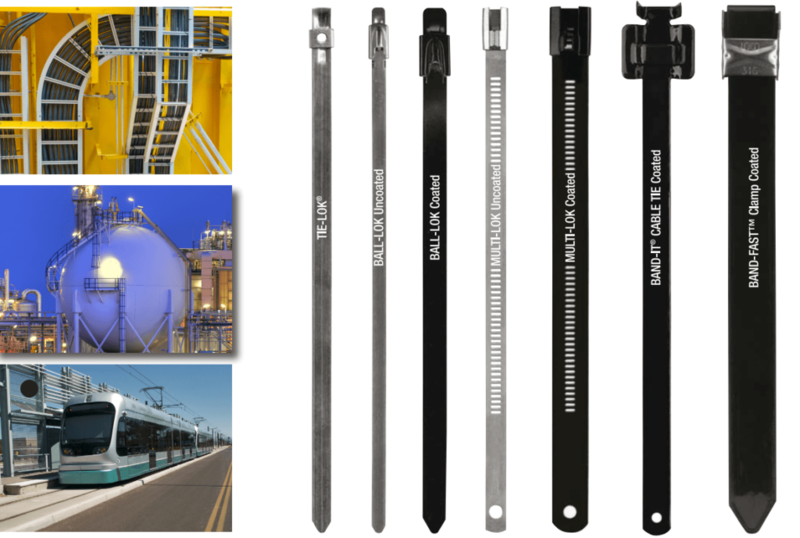 Thorne & Derrick distribute Stainless Steel Cable Ties manufactured by BAND-IT for bundling, strapping and locating low, medium and high voltage MV HV cables in industrial and hazardous area locations where high temperature and exposure to corrosive atmospheres requires high specification cable tie and clamping solutions. 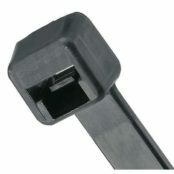 The cable ties are used to bundle, fasten, clamp and tie LV MV HV cables onto cable containment including cable tray, ladder or basket – high strength, corrosion-resistant cable ties provide excellent support and location for all types of power, control and instrumentation cables where resistance to chemical corrosion, UV and vibration. We provide competitive prices for stainless steel cable ties and cable cleats from extensive stocks to UK and international destinations. Loop Tensile Strength – the maximum amount of force, applied radially, an installed cable clamp/tie will withstand prior to failure. Harsh & Hazardous Areas – BAND-IT cable ties are resistant to chemicals and salt spay for onshore and offshore cable bundling without risk of product failure. 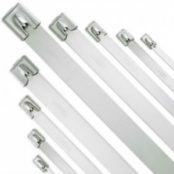 ➡ Should you require customer service or technical support please contact us – view the full range of BAND-IT Cable Ties below. Type 201 is an austenitic chromium-nickel-manganese steel with excellent tensile properties offering good resistance to oxidation and many mild to moderate corrosive agents. Type 201 is used where greatest strength is required and is the BAND-IT material most commonly used stainless steel for the manufacture of cable ties, banding and strapping systems. Type 304 is an all purpose austenitic, low carbon 18-8 chromium-nickel stainless steel with good corrosion resistance and weldability. Type 304 is the most widely used stainless steel and is found in chemical and food processing equipment, hospital and paper mill equipment, heat exchangers. 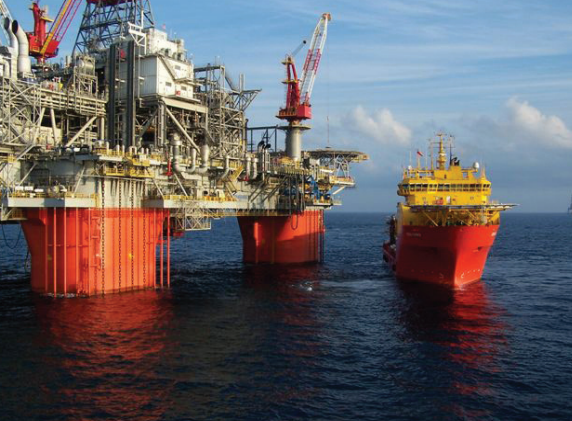 Type 316 is an austenitic chromium-nickel stainless and heat resisting steel with superior corrosion resistance – extensively used in offshore and marine atmospheres and environments where it is subjected to various chemicals, salts, acids and high temperatures. Type 316 has superior creep strengths at elevated temperatures. Austenitic stainless steels are chromium-nickel-iron (series 300) or chromium nickel-manganese-iron (series 200) alloys. Austenitic stainless steels are non-magnetic in the annealed condition but, depending on the composition (mainly the nickel and manganese content), they become slightly magnetic when cold worked. Austenitic stainless steel cannot be hardened by heat treating but only by cold working. They are the most popular grades of stainless steel due to their excellent formability and corrosion resistance. cable banding coating is halogen free and produces low amounts of smoke.